We all know how unpredictable social media can be. It can also be cruel too. Remember MySpace? Yes, it’s still cool and great fun, but try finding anyone who uses it now and isn’t a wannabe rock star. And Foursquare? Well, it all seems like a bit of a misguided mess that no one really cares about anymore. Basically, unless a platform makes an impact and keeps making that impact, it won’t hang around for long. And that brings us to Snapchat. It was once the most misunderstood of platforms. Brands in particular didn’t know what to do with it, and the situation didn’t change for a while. Then brands became more comfortable with Snapchat, and more expert at gaining traction with it. Right now, it’s having another wobbly moment, simply because it is starting to struggle for relevance. Snapchat sounds a little like a social media fairytale come true. The whole thing was founded in 2011 by three Stanford University students. It didn’t exactly set the world on fire immediately, but achieved steady user growth over time. It was also once called Picaboo. Launched in July 2011, it had amassed 127 users by the end of the first summer. The company is now worth billions of dollars (at one point, Mark Zuckerberg offered to buy it for $3 billion) and has an established presence in the lives of many social media users. It’s hard to convey this without sounding a little trivial, but Snapchat went through a redesign early this year, and nearly everyone who uses the app hated it. That’s right, the way the app looked and how it functioned were important factors in the current decline of the platform. Even Kylie Jenner went on Twitter to complain. Some users thought it was ugly, and that the looks of the redesign simply turned them off. The basic problem, it seems, is the change of the interface. Stories from friends and brands are differentiated, for example. The two different types of content are now wholly separate. In 2016, the decline for Snapchat began when Instagram introduced its own ‘stories’. That particular venture had 250 million users just a year after it started. This dwarfed the user base for Snapchat. It probably didn’t please Snapchat’s founders that Instagram is owned by Facebook. Remember that Zuckerberg offered them $3 billion for Snapchat once. In May, Snapchat fiddled with things again, and this was obviously in response to the concerns raised by users. The redesign was ‘re-designed’, and a new layout hit the platform. It seemed like a genuine attempt to put things right, but the one thing Snapchat didn’t do was remove that separation of branded content and content from people users knew. And that looks like it could be a real problem for the platform. Back when they made that big change, they lost users almost immediately. The brand seems to think that adding more features can rescue the business and give it some kind of position in the social media industry. But when you fiddle around with something that millions love, you’re going to take some heat. 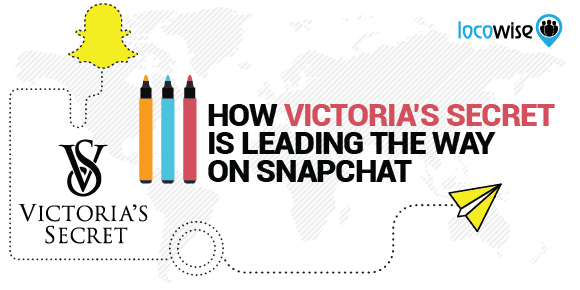 There’s a simple reason why Snapchat should still be part of a brand’s social strategy. The platform is famous for being ephemeral, a ‘blink and you miss it’ kind of deal. This is why it has always proved popular with the younger generation, who have short attention spans, and are essentially the first generation to truly grow up with the Internet. That ephemeral quality is best encapsulated in the short-lived nature of Snapchat. Nothing hangs around, and if that’s the case, it is one of the best ways to market a time-dependent event. If you’re running a flash sale, for example, advertising it on Snapchat makes it seem urgent and it will get attention. And then we have Geofilters. This is still the single best use of geo-targeting that we’ve seen, and it works beautifully. Using a geofilter to send messages to customers that have the context of location attached is a brilliant idea. It means that you can accurately market to consumers and give the marketing a local feel. There is nothing more powerful than sending a message to someone just as they’re passing your store, for example. That was just a tweet, but it was probably the reason why Snapchat lost over a billion dollars shortly afterwards. We don’t think this will happen again. When Snapchat ‘listened’ and re-did the platform again in May, this showed one simple belief to be true. People generally like Snapchat and they like using it a lot (the app is opened on average 18 times a day by users), so when it changes, they want it to go back to where it was. The users are loyal fans, and they care about the platform. Snapchat needs to realise this and start to do things the way fans like them. If Snapchat ignores complaints for much longer, it will be truly sad. It’ll be sad because the platform has tremendous potential for any brand. It’s also the platform that has made geotargetted advertising ridiculously easy to use. The new filters that Snapchat have introduced aren’t really worth a brand’s attention. If your brand is looking to make a value judgement on Snapchat, the one thing you need to do is focus on the two golden features that the platform has for brands. 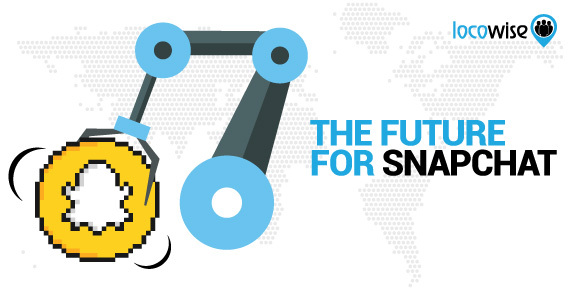 Snapchat has a young and very switched-on user base. It also has geotargeting that actually works. If you can’t use that information to make your Snapchat profitable, then you probably shouldn’t be on it in the first place. Convinced that your brand should still be on Snapchat? How about the rest of the social media platforms? The best way to move forward is to get all the data you can on performance and ROI. Do this with us, we’ll give you a free week of Locowise to try out!